After being vetoed by the US at the National Security Council, a motion to oppose member states putting their embassies in Jerusalem was taken to the General Assembly on December 21. It was overwhelmingly accepted (although Canada abstained). The voting pattern, and what was said, revealed a lot about what the world thinks about Palestine, Israel and Donald Trump. Read more…. Here are 13 observations about that UN vote. 1. The motion was about the Status of Jerusalem and did not refer to the USA by name. Here is the key paragraph: “Affirms that any decisions and actions which purport to have altered, the character, status or demographic composition of the Holy City of Jerusalem have no legal effect, are null and void and must be rescinded in compliance with relevant resolutions of the Security Council, and in this regard, calls upon all States to refrain from the establishment of diplomatic missions in the Holy City of Jerusalem”. 2. The vote was overwhelming. 128 in favour, only 9 against. Those voting in favour included almost all the biggest countries in the world (China, India, Russia, Brazil, Indonesia), etc. Together they represent over 90% of humanity. There is an international consensus on this issue. 3. Not one of the “advanced democracies” voted to support USA/Israel. Even longtime allies of the US like Britain, Germany and France stood firm, voting FOR the resolution. Only 4 of the EU countries abstained. 4. Both of the US’s NAFTA partners (Canada and Mexico) abstained, but for different reasons. Mexico has been a longstanding supporter of human rights for Palestinians. This time they abstained, but few people think it’s because they have really changed their minds on the issue. Canada, on the other hand, has been a longstanding supporter of Israel. (Only a few weeks ago we voted with the USA/Israel against a huge UN majority.) No doubt Trump wanted Canada to support him this time and made it clear it was “personal”. But if we had voted with Trump and opposed the overwhelming will of the General Assembly in this very public vote, our chances of being elected to the Security Council next year would have been all but eliminated. I think Trudeau weighed his options and felt abstaining was his best bet. 5. Canada’s abstention was remarkable two other reasons. It flew in the face of a very intense lobbying effort by Canada’s Israel lobby, headed by CIJA, which repeatedly urged its supporters to write the government to support Israel/Trump. Furthermore, in his “explanatory” remarks after the vote, the Canadian ambassador indicated that Canada considers that Jerusalem is “important to all 3 Abrahamic religions”, a direct rebuff to CIJA which had been urging Canada to declare that Jews have a “special” relationship to Jerusalem unparalled by any other faith. 6. The USA threatened the very institution of the UN itself. In her remarks, the US ambassador not only repeated President Trump’s threats against countries who want US aid, she actually intimated that the US might reconsider funding of the United Nations itself! This raises the spectre of the US and Israel creating a new UN along with a few smaller nations, perhaps like Togo and Micronesia. 7. China opted to take a very public position, speaking at the podium in support of the motion. China is gaining an increasing profile on the world stage. The Chinese intervention was low key, repeating a 4 point peace proposal put forward by Chinese President Xi Jing Ping last year. The Chinese expression of support for the UN and for an international approach to resolving the Israel/Palestine issue is all the more significant in the face of the US implicit threat to cut off funds for the UN. Any US withdrawal can only lead to increased influence being exerted by its rivals. 8. The Holy See spoke in favour of the motion. The Vatican clearly indicated its commitment to a negotiated solution between the parties and underlined a Christian attachment to Jerusalem that is not comfortable with Trump’s proposal to put all of Jerusalem under the control of a “Jewish State”. Of the top 10 recipients of US aid, only Israel voted against the motion. If Trump cuts off their aid, might they look elsewhere? 9. Twenty-one countries were “absent” for the vote. Many of the non-voters were developing African, countries with a history of anti-colonial struggles, but highly dependent on US aid and military support, like Zambia, Kenya and the Central African Republic. It is reasonable to assume that their sympathies were with the Palestinian. Their representatives must have felt humiliated in front of their developing country peers that their governments were not able to withstand US threats. 10. Afghanistan and Iraq both voted in support of the motion. Trump and his supporters must be furious that after spending trillions of dollars “liberating” Afghanistan and Iraq, their governments voted against him. 11. Other key US allies in the middle east, including Saudi Arabia and Egypt, voted against Israel and the USA. This is spectacular, as the US and Israel were hoping to cobble together an anti-Iran alliance. Trump’s move seems to have set this back considerably. After Israel, Egypt and Saudi Arabia are the greatest recipients of US aid – and buyers of US arms – in the Middle East. US threats were not able to rein them in. 12. The Israeli ambassador made no friends. The Israeli ambassador’s condescending remarks were astonishing. He showed the assembly a two thousand year old coin proving Jews lived in Jerusalem, a fact that nobody denies. (Jesus was a Jew, after all.) He called those countries supporting the motion “puppets” of the Palestinian Authority. That must have surprised (and angered) many countries, including China, India, Brazil etc., over whom the Palestinians have no possible leverage. 13. The Palestinian foreign minister didn’t propose anything new. Speaking to a very sympathetic audience, representing 90% of humanity, the Palestinian spokesperson didn’t even ask anybody to DO anything except continue to support a “peace process” which has produced little result over several decades. Canada Talks Israel Palestine (CTIP) aims to promote a serious discussion in Canada about the complicated and emotional Israel/Palestine issue. We invite comments from readers. Both Zionist and non-Zionist opinion is welcome as long as it is expressed in a respectful way. HOWEVER, PLEASE NOTE: any comments that include personal attacks on other commentators, foul language or are racist/antisemitic/islamophobic will be deleted without warning. If you support our educational mission, why not join? Or make a donation? Or learn more about what we do? Contact us at membership.ctip@gmail.com. ← Canada (again) narrowly dodges a dangerous bullet at UN Security Council! Subtract the 56 Islamic states that vote in lockstep to condemn Israel because hang nails exist then you actually have 72 states out of 137, many of the 72 dependent on Islamic oil (remember the oil boycott? ), means that this was not overwhelming by any means. Self-deceptions, accusations and delusions do not serve reality. The vote shows that the world refuses to be bullied and that it favors a just settlement in the Middle East that includes recognition that Jerusalem is holy to Jews, Christians and Muslims. No one is debating that Jerusalem is holy to Christians and Muslims. The UN and the Palestinian position varies but it is quite often the belief that Judaea never existed and the historical claim is an entirely made up story. Being holy to Muslims does not mean it needs to be part of a Palestinian state. I was just at a pilgrimage site for Krishna outside Pittsburg. India doesn’t have have to control the temple to assure freedom of worship. The USA is perfectly capable and willing of assuring freedom of worship and the ability for visitors to go the site without India needing to play any role in governing. Similarly Israel has a long track record of protecting holy sites. The Church of the Holy Sepulchre and the Al-Aqsa Mosque are still standing. If Israel didn’t intend to preserve religious diversity in the state they wouldn’t be. The world mostly used to favor an unjust settlement that includes Jewish extermination or re-enslavement. What we saw just happen with the Kurds is what the world would have liked to have seen happen to the Jews of Palestine.It didn’t. The birth of new states is a violent disruptive process and for obvious reasons existing states don’t like to be disrupted. At this point Israel is too far along the least disruptive path is for it to be normalized. Voting to condemn Israel without having a plausible well thought out solution is an easy vote. It certainly continues to indicate the UN is an enemy of Israel’s. But I don’t see a multinational force massing at Israel’s border to liberate Jerusalem. So I wouldn’t read too much into that rather easy vote. Just a polite note. What would you consider overwhelming The vote in support of the U.S had a combined population of 33 million (that included the Pacific atolls, I must add sovereign atolls like Mat Matu, Kit Kitu and Tati Tati, etc. and I believe the Czech Rep. where antiSemitism is rife) as against 7 billion in favour; that would make it less than one half percent of the world. Have you ever thought of a day when the US might not offer blind support. And you still think the strategy you`ve tried for 69 years is working. Didn`t know that oil too had a religion; make sure you use Jewish oil in future; preferably kosher. hey Sam, this sounds antisemitic. What is the world is “Jewish oil”. Make your arguments clearly but carefully, please. Subtract the US, and both this & the security council resolution would have passed with flying colours and apartheid Israel would be reeling, looking to end their illegal occupation of Palestine & their draconian policies of apartheid, long abandon by other nations. Obviously if the USA wanted to destroy Israel it could. At a high cost the USA could (assuming there is a Jerusalem that survives the war): divide Jerusalem, move it to Palestine or make it an internationally occupied city or even give it to Syria or Jordan. Saying the USA could change policy and with enough effort accomplish this or any other goal isn’t saying much. So let’s assume rather than the USA’s aggressive support the USA was totally indifferent and neutral on the conflict, something that is far more likely were USA opinion to shift (which is rather unlikely). Actually play it out. The UN votes, then what? The UN doesn’t have a magic wand so what happens? Try without the platitudes. Assume an Israel that is capable of rationally evaluating the situation and responding forcefully using the tools at its disposal. How exactly does the UN without the USA dislodge Israel from Jerusalem beyond the green line at acceptable cost? Peter, first to thank you for your thoughtful analysis. One comment about some African countries abstention, (#9), could be due to the fact that most of their weapons is supplied by Israel. Old weapons which Israel sells them at lower prices. In regard to Jack’s comments re dismissing all Muslim countries as biased. Why not think that they have very valid reasons to oppose for religious as Jerusalem being a sacred place plus standing for human rights and against atrocities. What about the total bias of US, (and other countries), due to serving their own agenda and fear of the Jewish and Israeli lobby and power. In regard to many of 72 countries fear of oil supply, it is a ludicrous idea.Since when Arab countries boycotted other countries with oil. In fact many of the abstained countries, (or the ones who voted against, which can be totally dismissed), was fearing US retaliation, otherwise the support vote could be greater. Thank you. As long as they have the support of the Jewish lobby and the Evangelists (who are promising the Jews annihilation unless they come to Jesus), they will continue to thumb their noses at the rest of the world. Remember they are there at the formal invitation of King David. The USA is afraid of the Jewish lobby? What exactly do you think the Jewish lobby is a monster living in Washington DC that gobbles up politicians? The Israeli lobby is a lobby. Lobbies are part of the USA government and are the mechanism of tying various interest groups to policy makers in an organized fashion. Saying the USA government is afraid of the Israeli lobby is like saying the Canadian government is afraid of equalization payments. Yes, you said it perfectly. The Jewish lobby and the Jewish money and power in US, combined with the Christian Zionists are a monster living in US. No Congressman will dare criticize Israel. As ones Jimmy Carter said when appearing in Larry King show: Any one running for an office and criticizes Israel, is commeeting political suicide. The Jewish and Israel’s power in US, is absolutely not just another lobby,which planet you live in. It is equally true that being holy to Jews does not mean that Jerusalem needs to be part of a Jewish state. In fact, there is no need for a ethnically biased state at all. You also wrote, “The world mostly used to favor an unjust settlement that includes Jewish extermination or re-enslavement. What we saw just happen with the Kurds is what the world would have liked to have seen happen to the Jews of Palestine.It didn’t.”. I am sure you have details to support these statements. I have not seen the Kurds either exterminated or enslaved by “the world”. The Kurds have been actively fighting ISIS and have received external support for their forces. Many plausible solutions have been thought out for years. The most obvious was the UN resolution for two (equally powerful) states with an internationalized Jerusalem. Another one is a single state with no ethnic bias (like the US and Canada). As the majority of states wherein the protection of human rights is a joke, that being the Islamic states, it is highly doubtful that those states had any reason to vote against Israel other than hatred of Israel because it is a Jewish state. As states rarely voted for any reason other than national interest. It was well within the rights of those states that abstained and didn’t bother to show to do so as they were acting in their national interest. You may want to brush up on your history; long standing in the West; not in Arab/Muslim lands. Pre-1948, the pogrom, the Holocaust, the thousands of years of individual and institutional bias and hatred of Jews in the West; events and hate, which had nothing to do with Muslims. Where did the Jews escape to, when expelled from Spain by Ferdinand and Isabel, to Turkey and Morocco. Google and read an article about a posthumous award given to the Moroccan King by New York Jews for saving 250,000 Jews from transfer to the death camps in WW2. I am surprised they don`t encourage bullying in American schools; in fact they should teach bullying, because that is what they do on the international stage, especially with the weaker countries. Obviously the undisputed capital of that one Israel/Palestine state will be Jerusalem, so why are you protesting? Isn’t that exactly what you want? Personally I’m a strong supporter of the two state solution and I believe that this decision by Trump is extremely unhelpful for achieving that two state solution, but why are *you* against it? The policy of BDS (and the UN) is Israel is always in the wrong. If it engages in activities to separate from the Palestinians that’s “building an apartheid wall”. If it engages in activities to integrate them that’s a violation of the 4th Geneva convention. If it enhances the living standards of Israeli-Arabs that “divide and conquer”. If it oppresses them that’s a racist oppressive state. Jews are by definition a satanic entity and as such everything they do is evil tautologically. They can never do anything constructive. That’s why all of Israel’s accomplishments are chalked up to foreign aide. Obviously if one favors a one state solution they should favor Israeli annexation and the move towards citizenship of resident Palestinians. Things like the Federal Plan for the West Bank should be eagerly embraced. Making this a civil rights campaign rather than a “anti-occupation” campaign also has the side benefit of allowing for more positive engagement. Conversely if one favors a two state solution they should stop complaining about right of return and aim for Israel to be a secular democracy since one of those two states is going to be a Jewish state. One should favor Israeli separation and disengagement. Peter is not a bigot. I don’t understand why he continues to be ally himself with an anti-Jewish hate group rather than the multiple groups working for peaceful coexistence and dialogue. The stated policy of BDS is that it is is an effort to use boycotts, divestments and sanctions in order to bring about fair treatment for all residents of historical Palestine regardless of their ethnicity, national origin, or religion.” In other words, they believe that Israel can be improved and are working to bring that about. That’s far from obvious. You have just described a complete conquest. If there is to be a one-state solution Israel will have to renounce all laws that discriminate against non Jews, and negotiate a new constitution and laws with the people who will join it in a single state. Should the Israelis and Palestinians chose a two-state solution, neither state should be built on the theft of property or denial of the right of return of people to land that their families once owned. If there must be two-states, both should be just states with unbiased laws. BDS is not “anti-Jewish”. It is anti-injustice. It has many Jewish supporters. I consider opposition to injustice to be entirely consistent with the religion that I learned as a child in a synagogue near my home. HEY Ahik, thanks for your question. I don’t care whether the final compromise is one state, two states or something else. That is entirely up to Palestinians and Israelis to work out. But if it is two states, in my view it wont work if one of them defines itself as a ‘jewish state” leaving a significant minority permanently unequal, and denying the right of return to those who used to live there (and their descendants). I do think that a single democratic state is the most likely one to bring peace, but if there are 2 or even 3 democratic states, in which all are equal, and the refugee issues have beenappropriately dealt with, that is just fine by me. By analogy, I don’t care if Czechoslovakia is one state or two, or Jgoslavia is one or 5. I do care about human rights, democracy, equality, and protetion for minorities. Thanks Peter. One state or two state soutions for Israel Palestine raises the crucial issue of which one is more likely to be achieved in the shortest possible time with accompanying maximal human rights benefits under current international political and legal circumstances and generalized support. The two state solution wins hands down because it is supported by the parties, universally supported by a maximum number of nations, is supported by and ,consistent with UNSCR resolutions, mirrors the Arab League peace offer and has been the basis of all international and US peace efforts from the UNGA partition resolution to the Obama Kerry initiative. It could also reach acceptable standards for open cooperative relations between Israel and Palestine, dealing with refugee issues and assuring equal treatment for minorities on each side. The one state solution with equality for all is not really part of any realistic international discussion except as a reaction to frustration by certain Palestinians and other activists in not achieving an acceptable two state solution after 50 years of occupation and horrible treatment. Israel rejects one democratic state (Quaddafi once suggested Israetine) for demographic reasons in its insistence on maintaining a Jewish majority in a “Jewish” state that is nevertheless populated with a 20% Palestinian minority that do not enjoy equal treatment now and are encouraged to leave or sometimes threatened with expulsion. The only one state solution israeli ministers have put forward is the annexation of the West Bank or Jewish settlements which would be a disaster for peace following on the theft and integration of Palestinian resources but not Palestinians into Israel. Neither the UN nor major states and groupings have ever been able to propose a solution based on one state. The emphasis now should be to take advantage of the controversy over Jerusalem to move to a two state solution with Israel with West Jerusalem as its capital, Palestine with East Jerusalem as its capital and the internationalization of the holy sites of Judaism, Christianity and Islam. Nor can this be left for the impossibility of Palestinians and Israelis to decide, since this will require the full force and support of the international community including the US and the UN to achieve success. It does require diplomatic initiative by a state or group of states to get the ball rolling and there is no berter candidate to contribute o this task than Canada. Once this minimal level of an equality based two state solution is achieved, Israel and Palestine would be free to cooperate or even confederate. Do all of those parties agree on the definition of state, the boundaries, the rights of citizens of the other state, etc. etc. etc. ? I think not. I think that the agreement on a “two state” solution is agreement on a buzzword but not a real agreement. A two state solution would require agreement on borders and many other issues (e.g. access to air travel) that would not be issues with a one-state solution. The latter might be the more realistic approach because it does not have to figure out how to cut the baby in half without killing it. When you say, ” I don’t care whether the final compromise is one state, two states or something else”, I think you have to be careful that the word “state” has the same meaning. When Israel says “two states for two peoples”, it has small print that says that the Jewish state will be super strong but the Palestinian state will not be able to defend itself, control its borders, have access to the world without going through Israel, etc. The Devil is in the details. Your mention of Yugoslavia points out another problem, finding the right borders. In the former Yugoslavia, there were Croats and Serbs in Kosovo while some of the ethnic Albanians ended up in Serbia. I do not think that there was a good way to draw the borders. In contrast, Czechoslovakia was easy. The borders were historical. I hear the Indian Punjabi is giving a party on Jan 3 to thank those who abstained or said No. The RSVP gives four options: Yes, No, Maybe and WTF. Wonder if the lackey knows that her country, India, voted against UN Resolution 181 creating the settler colonial state. Ghandi must be turning in his grave. @Sam Nimrata (Nikki) Haley is an American, not Indian. She may understand and speak a bit of Punjabi since her parents who migrated to the U.S. are from Punjab. India is certainly *not* “her country”. That being said, it was surprising to see that India voted along the lines of its historical support for the Palestinians at the UN (as you mentioned UN Resolution 181). I was expecting India to abstain since the current Modi government has very close ties with the Netanyahu government. Modi is also the first Indian PM to make a visit to Israel. One simple reason for this closeness is that Hindutva and Zionism share many common elements that are blatantly against minorities. PS: 1. I have learned that “Nikki” is a Punjabi nick name for “tiny”. 2. And that Gandhi was cremated not buried. Agree with you John; my point was that people should not forget their roots. What the Palestinians are enduring today and for the last seven decades is much worse than what her Indian grandparents endured under British colonial rule, in brutality and discrimination. Remember Obama too had Churchill’s portrait moved from the Oval Office, because his grandfather had suffered at the hands of the unashamed imperialist. Should roots and history matter; I think they should if one is true to oneself. Which is why I look upon people like Ben Carson with utter contempt; to be working with a certified white supremacist. The grandson of a slave call the Syrian refugees “stray dogs”. Thanks, Peter, for these observations and excellent analysis. First, it is remarkable that Foreign Affairs Minister Chrystia Freeland and her Office staff were not swayed by Canada’s Israel lobby (CJIA) after CEO Shimon Fogel’s meeting earlier in December. While the Trudeau government’s approach to Israel-Palestine is hard to distinguish from their predecessor’s, it is plainly evident that CIJA’s lobbying effort failed this time. Perhaps the Foreign Minister has superior information on what Canadians think of Jerusalem and its unique historical connections to Jews, Christians, and Muslims. Second, I am not sure how close Canadian Liberal Zionists are to CIJA but I think that they must not be very happy with CIJA’s position either. Why? Because..at worst, Trump’s decision has created a sort of a “marketing problem” for Liberal Zionists (here’s an example: http://ottawacitizen.com/opinion/columnists/cohen-trump-trips-up-over-jerusalem-and-everyone-may-suffer). Also, Liberal Zionists characterize Trump’s decision using a totally mild and passive term: “unhelpful”. Whereas CIJA wants, through active lobbying, that the Canadian government adopt what Trump or Netanyahu support. I guess even the Conservatives might not go with CIJA on this. It is equally true that being holy to Jews does not mean that Jerusalem needs to be part of a Jewish state. Quite true. The Jewish state however choose to locate itself near its most holy sites. The 1949 armistice lines didn’t include most of them. There is good reason for Israel not to want to permanently be located next to historic Judaea. In fact, there is no need for a ethnically biased state at all. The discussion was about religion above. You are changing topics here, though I agree with you on this. It is remarkable how much trouble you have agreeing to say anything nice. You completely agree that Israel doesn’t destroy other religion’s sites and preserves them but want to attribute this to some ulterior motive. Yet whenever discussing the flaws of Israel those are always intrinsic for you. I am sure you have details to support these statements. I have not seen the Kurds either exterminated or enslaved by “the world”. You haven’t been paying much attention. They just tried to have independence Iran and Turkey including Iran’s proxy in Iraq blocked them. The Kurds have been actively fighting ISIS and have received external support for their forces. No one objects to them dying for other country’s causes. That is at present not a plausible solution though it can be a reasonable goal. To achieve such a state in the USA and to a lesser extent in Canada required tremendous violence. The UN long ago gave full recognition and membership to Israel. Was that the act of an enemy? The UN was not as hostile to Israel in 1948 as it is today. The UN like any government can change what countries it is enemies with. In 1949 the UN was pro what is today Taiwan and didn’t recognize PRC, a few decades later the situation reversed. In 1948 is supported moderation in Rhodesia by the 1960s it sought its destruction. In 1948 the UN considered apartheid in South Africa an internal affair by 1960 it had a different policy. Please share that reason with us. I based my observations on things that Israelis have said to me, knowing that they were talking to a fellow Jew. Further, Israel has destroyed whole towns(presumably including the places of worship) but they were not important to foreigners. Are you claiming that denying them independence is equivalent to “being either exterminated or enslaved”? They still exist and are not slaves. Do you think that the Catalanians have been exterminated or enslaved? They too were told that their indepedace would not be recognized. I really do not understand how you could claim that the Kurds were “either exterminated or enslaved”. You wrote, “The UN was not as hostile to Israel in 1948 as it is today. ” At that time, we all thought that Israel would comply with the Sèvres peace treaty with Turkey and the Mandate for Palestine by doing nothing that would ”prejudice the civil and religious rights of existing non-Jewish communities in Palestine”. In the time since 1948 Israel has changed much more than the UN. It has done many things that made most UN members less sympathetic to it. “There is good reason for Israel not to want to permanently be located next to historic Judaea.” Please share that reason with us. As far as Israel destroying towns, that is a perfect example. It has also left some towns intact. Those towns also contained religious sites of little importance to foreigners. If they followed the policy you claim those sites wouldn’t exist. You may want to consider the bias you are applying. That’s not a good reason to consider the negatives to be intrinsic and the good to have ulterior motives. You certainly hear Israelis say many positive things about coexistence and a desire for peace, those you dismiss as blatant lies while latching on to the negatives. Are you claiming that denying them independence is equivalent to “being either exterminated or enslaved”? Yes. Being forced to live under a government you hate and that acts against you and your people’s interests is the core of what is noxious about colonialism. The Kurds have been slaughtered for centuries to keep them enslaved. Do you think that the Catalanians have been exterminated or enslaved? In centuries past, yes. Currently it hasn’t gone that far. But ultimately if Spain were to hold Catalan by force then yes. In 1947 a nasty ethnic civil war had broken out which involved ethnic cleansing on both sides. Prior to that by 1937 severe attacks on Palestinian civilian infrastructure and leadership had already occurred. In 1948 there was a legacy of tremendous ethnic violence in Mandate Palestine. The Yishuv was running a nasty local terrorist organization which was turning increasingly global. There was an army. Ideologically the state was collectivist and had been for a generation. The Yishuv had utilized the trauma of the holocaust to create fanatics in the DP camps. How exactly was Israel in 1948 not showing the grim determination to get a state at any cost? What you are so critical of them for is they are not a fantasy ideal. They are a real state capable of making the kinds of real sacrifices states do when confronted with enemies. In 1948 one likely would not have imagined that Israel was going to be the primary regional power in the middle east. But that it was a tribal state perfectly willing to conduct tribal warfare against an enemy tribe was perfectly clear. The countries of the world are very divided. That means that many are living under a government that they hate and believe is acting against their interests. Currently, this is true in your country (US) and in many others including Catalonia. Because people are mixed, separation is not a solution. Finding better ways to live together is the only solution. The Jews were slaves in Egypt, Africans were enslaved in many countries. The Kurds are not slaves. Jews and others have been the victims of attempts at extermination. That is far worse than being denied separation. That is not the stated policy of BDS. BDS makes no claim at all to support the fair treatment of Jewish residents. It takes no specific interest in whether the eventual Arab state it seeks to create treats them equally, ethnically cleanses them or exterminates them. BDS moreover uses pro-genocide rhetoric, though it then often contradicts this with support for human rights or UN positions making it an inconsistent mess. I’d even compound that by saying that BDS doesn’t even really take a position on whether the Arab state it seeks treats the Arab population particularly fairly. In other words, they believe that Israel can be improved and are working to bring that about. No they quite explicitly reject improvement of Israel. They seek its destruction not its gradual evolution. One wouldn’t be talking about settler colonialism if the goal were improvement. That’s far from obvious. You have just described a complete conquest. Yeah that’s a one state solution. The state takes the territory. If there is to be a one-state solution Israel will have to renounce all laws that discriminate against non Jews, and negotiate a new constitution and laws with the people who will join it in a single state. What you are describing in the 2nd half is the death of Israel and its replacement with a new state. Which makes the first clause irrelevant. There wouldn’t be an Israel to discriminate anymore if there was a new negotiated constitution. Should the Israelis and Palestinians chose a two-state solution, neither state should be built on the theft of property or denial of the right of return of people to land that their families once owned. If there must be two-states, both should be just states with unbiased laws. Then what’s the point of the two states? The point of the two states has always been a Jewish state and an Arab state, both biased. You can object to the 2SS but let’s not pretend that’s not what it has always been about. You disagreed with my statement of BDS goals. I based my description of BDS goals on what they say in their web site. I have only heard the things that you assert from people who oppose BDS. Perhaps you are a BDS member and have inside information? Boycotts helped to bring about improvement in South Africa and did not destroy it even though many predicted that South Africa would be destroyed if it gave the mandate to the majority of its population. Israel will only die if it refuses to change. It seems I must remind you that we have three distinct states in North America and none of them is ethnically biased in the way that Israel is. Canadians see a point to having 3 states. It is my impression that Americans do as well. You may correct me if you think that Americans would prefer a single state in North America. I am afraid that I do not know how Mexicans feel about the matter. I based my description of BDS goals on what they say in their web site. Where on the BDS website do they say anything about assuring equality for Jews in their future state? Where do they say anything about fair treatment of all residents? Those goals didn’t come from their website they came from your head. Those are perhaps your goals. South Africa lost a series of wars. Moreover the ANC has a far less harsh view of the whites than the BDS movement does of the Jews. Mandela preached a doctrine that everyone including the Afrikaners were all equally South African. That is not the unified Palestinian position nor the BDS position. Otherwise they wouldn’t be pushing for the ethnic cleaning of 2/3m people. They wouldn’t be objecting to Jerusalem being fully Israeli they would just be looking to reform the laws of Israel. It seems I must remind you that we have three distinct states in North America and none of them is ethnically biased in the way that Israel is. Actually they are somewhat ethnically biased in their formation. I think you should look into the history of most American states as well as Canadian states. Mexico was a Spanish / native hybrid state. Quebec was a french state. New Brunswick had Pennsylvanians and New Yorkers who remained loyal to England (most British ethnics with strong ties). Massachusetts was a religious tyranny. Rhode Island were the people of the same ethnicity who escaped that. Pennsylvania was Quaker. New York has a much more mixed population of Germans and Dutch. The boundary between Michigan and Canada came from areas where the natives were more violent and effective (the USA got the more violent Indian population). Later Utah was Mormon. The populations have mixed quite a bit since as is natural, humans are a migratory species. But certainly ethnic cultural identification was a big part of the state / provinces borders and later the national borders. Particularly the USA / Mexican border which is more recent. So no your claim about North America simply isn’t true at all. You may correct me if you think that Americans would prefer a single state in North America. I think people in the North East, particularly Vermont, Maine and Michigan… see the border as artificial and would like a fully open border with Canada. There is a lot of resentment in the north about the security restrictions put in place after 9/11. Further from the border, many Americans in the North think they have more culturally in common with Canadians than they do with the South East USA. 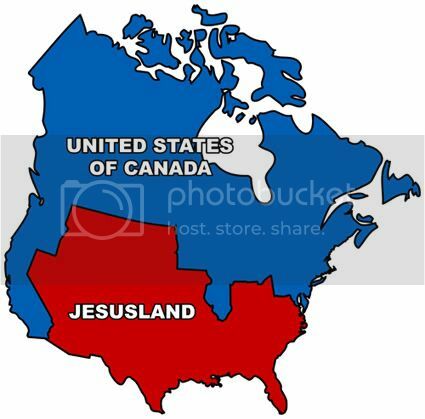 For example this map when Kerry lost to Bush was a common refrain: http://i336.photobucket.com/albums/n350/blackstorme/map-jesusland.jpg While obviously the message was mostly political it is expressing an increasing feeling in the USA that the cultural diversity is simply unworkable. In 2017 the Canadian border is mostly political (Quebec excluded) the Mexican border is both political, cultural and ethnic but still has problems. Here is a quote from the current version of the BDS website, “Boycott, Divestment, Sanctions (BDS) is a Palestinian-led movement for freedom, justice and equality. BDS upholds the simple principle that Palestinians are entitled to the same rights as the rest of humanity.” Note that the website, which I am sure you could find for yourself if you wanted to, repeatedly uses the word “equality”. I can find no place where it talks about the destruction of Israel though it does call for the destruction of the walls that so disrupt people’s lives. You are correct about one thing; those are my sentiments too. Your assumption that the ANC had a uniform position is not consistent with what I have read and seen. Mandela was simply a very powerful and wise leader whose views, luckily, prevailed. I haven’t seen a Mandela appear among the Palestinians but we won’t see him gain power until an Israeli de Klerk appears. Without de Klerk, Mandela would have been unable to play his role. After I wrote that, “none of them is ethnically biased in the way that Israel is.” You seemed to forget the “the way that Israel is” part of what I said. Israel has ethnic bias in its laws. The US and Canada have worked hard to eliminate such laws and have nearly succeeded. The separation between the US and Canada was raised in this blog to point out that there are more reasons for two states than ethnicity or religion. You seemed to be arguing that if both states are going to be free of ethnically or religiously biased laws, they might as well be one. 2017 gave many Canadians one more reason to be glad that the separation is there and neither ethnicity nor religion was a factor. Having lived on both sides of that border, I disagree with the essence of what you said, but I do not think that this blog is the place for that discussion. Parnas, the BDS website pabulum is there to give people like you a security blanket so that you can support it with a clear conscience. However, those of us who engage in scholarly research can assure you that the goal of the founders of BDS is the destruction of Israel as a Jewish state and to turn it into just one more Islamic Arab state. It is absolutely ludicrous to base the goals of an organization solely on what is written in their web site. It is strange that “those who engage in scholarly research” give no sources at all for their assertions or conclusions. Mr. Host, said that I had presented my goals rather than what appears on the BDS website – so I quoted the website. He quoted no other source in return and I see no source in your “scholarly” message. I do want to point out that “the destruction of Israel as a Jewish state” is very different from wanting “to turn it into just one more Islamic Arab state”. The BDS website is full of calls for equality; I interpret that to mean that they want a state without any ethnic or religious qualifications. I also want to point out that “the destruction of Israel as a Jewish state” is very different from from “the destruction of Israel”. mr. Sigman, please stick to arguing the substance of the issue. Personal slurs are neither convincing nor helpful. Factually, it appeared accurate. I prefer not to talk about competing ethnic or religious groups. In my view, we should look at individuals one at a time. A city or state belongs to the people who live there and their ethnicity or religion should not make a difference. Appears accurate and is accurate are two separate items. Citizens are the owners, not residents. Renting an apartment does not give you ownership rights. Thanks Peter. Agree that this was a transformative UNGA vote in that it confirmed that the world and UN would only recognize Israel with West Jerusalem as its capital when there exists a state of Palestine with East Jerusalem as its capital. It might also spur internationalization of the holy sites of the three monotheistic religions under the UN since these are in East Jerusalem which is not under Israeli sovereignty and can not be assured of being accessible by all unless under UN protection. This opening for a such a solution must be seized by a consensus in the international community and UNSCR to move forward ultimately with full US support and should form the basis of any US plan put forward by Jared Kushner.. The UNSCR could give timelines and guidelines, authorize all suitable forms of international support, assure the equal protection of minorities and by validating a Jewish State of Israel and Palestine ensure that Israel can maintain its Jewish & democratic nature. This is an excellent initiative for Canada to initiate developed and support and would help with UNSCR election prospects. By making use of its current ME policy and its longstanding expertise and even handedness as well as the work done by legendary Canadian diplomat Michael Bell, who advised PM Trudeau prior to the election and during the transition, on internationalization of the holy sites. While dismayed by the dim prospects for an Israel Palestine settlement ay the end of his life, he maintained that this work would be available when needed; it is needed now more than ever. Consider the situation of Bethlehem and more particularly the Church of the Nativity and manger square on the Christmas eve: situated in Palestine it is nonetheless separated from Jerusalem by the israeli wall and severe check points and is occupied and managed by Israeli forces who have been fighting recently against those opposed to Trump’s jerusalem move some of whom are in Santa Clause suits. Such a solution would take Bethlehem by placing it clearly within a sovereign state of Palestine. Perhaps Bethlehem’s holy sites and other Jewish, Christian and Islamic holy sites outside of those three in the city centre but in Israel or Palestine proper could be assisted by the UN to ensure access, good management and cultural heritage as the situation in Hebron warrants. Above all there should be freedom of access to the holy places whether in Israel, Palestine or the int zone. Merry Christmas. Jesus a Jew is the saviour for Christians and a major prophet in Islam. His birthplace and deathplace should be a symbol and real place of peace and not a scene of conflict. If the Israeli lobby were nearly that powerful the embassy would have been in East Jerusalem decades ago, Israel would have a nuclear defense treaty and Iran would have been invaded. When AIPAC has gone up against other lobbies like the Pharmaceutical lobby, the Energy lobby or the Agricultural lobby it has often lost. It is near the bottom of the top 20 lobbies, that’s all. Nothing absolute, nothing outside the norm. @Host: Now why would you mention the pharma and the agricultural lobbies? We are discussing Israel-Palestine. Right? AIPAC is cheerleader, clapper for the bloodshed, taking millions of lives in the Middle East; their next target, Iran. ow why would you mention the pharma and the agricultural lobbies? Because Jake’s claim was that AIPAC was a uniquely powerful lobby unlike the other’s in the USA. . Obviously to disagree with that one needs to discuss the other lobbies. And then instead of overblown paranoid rhetoric we simply point out that when AIPAC goes head-to-head with lobbies in the top 10 it generally loses. Making it near the bottom of the top-20 not #1 as claimed. The AARP has long way to fall before it is anywhere near as weak as AIPAC. AIPAC is cheerleader, clapper for the bloodshed taking millions of lives in the Middle East; their next target, Iran. The bloodshed the Middle East was caused by the Americans having let the Iraqi Shia make us into liars when we had promised a multi-ethnic democracy and instead delivered an ethnic tyranny. The Sunnis justifiably are rebelling against living under Shi’a rule. AIPAC had no position on the various plan on how to govern Iraq not taking a pro or anti partition position. Nor has it had any particular position on the Syrian civil war other than supporting pushing Iran out. There is simply no evidence for your position regarding AIPAC’s role on the current bloodshed. I will close with this comment AIPAC is certainly not pacifistic but I have a hard time taking seriously BDS supporters complaining about the level of violence AIPAC desires.AIPAC’s goal in Iran is containment and at worst regime change. It ha never sought to undermine the Persian nation. Israel is substantially more powerful than Iraq ever was: having both strategic thermonuclear weapons and tactical nuclear weapons including ICBMs for delivery. It has a pharmaceutic industry and thus likely a full complement of biological weapons. It is a country that is much more prone to war than most and is a democracy (or at least is supported by a broad fraction of the society) not a narrow tribal dictatorship like Iraq was. Israel can thus hit much harder early in a war than Iraq was able to and will be much more able to sustain a fight potentially for generations. Israel would be perfectly capable of seeing a diplomatic slow strangulation and would likely use war as a way to break out, as it did when similar tactics were tried by Eisenhower and when it was threatened by Carter. A weaker Israel is likely more violent not less violent than the current Israel and certainly threatened to the degree BDS desires that would be the result. When Israel was proportionately weaker it engaged in rather frequent wars. We haven’t seen a country as powerful as Israel die since WW1. The death throes of Israel would make the death throes of Iraq look positively benign in comparison. Rejecting a process of cooperative gradual reform and instead pushing for total collapse is not remotely consistent with valuing human lives. Yes Sam. Must be hard for Canadians to imagine something like that. MR. SIGMAN, I HAVE BEEN ENJOYING FAMILY OVER CHRISTMAS, BUT AM NOW DISAPPOINTED TO SEE A LARGE NUMBER OF COMMENTS OF A PERSONAL ATTACK NATURE. PLEASE REFRAIN. Sammy, do you lie on cue or do you make it up as you go? I have never seen an antisemite like you spew so many lies at once. Are you paid by the lie? Every time you meet a Jew in Canada or in Europe at least you can be sure he or she will not come and demolish your house if you offend him or her; the Palestinians don’t have that ‘luxury’. MR. SIGMAN, THIS IS NOT ACCEPTABLE. IF YOU RECIDIVATE I WILL HAVE TO DELETE YOUR POSTS. Sammy, do you invent this BS or is someone writing it for you? No it is not true. Certainly having elected an incompetent clinical narcissist to the Presidency is not a high point of our history. But that is very far him not having won a fair and free election. Congress is dysfunctional but it is dysfunctional precisely because the population is demanding an aggressive confrontational politics not a more cooperative one. The USA has problems but we are still a free people living in a republic with full self determination. and in many others including Catalonia. Because people are mixed, separation is not a solution. Finding better ways to live together is the only solution. Which in the case of I/P you are opposed to. There you favor separation. And not just mild forms of separation like federalism or autonomy but rather fully distinct states along a border no one really considers workable outside the UN. Moreover if one does not object to a people being governed by a hostile foreign entity your complaints regarding the Israeli occupation and the inequality of laws within Israel proper make no sense at all. The position you are promoting where self rule is of little consequence seems to me most consistent with Israel just establishing a formal ethnic (or religious) democracy. You are apparently mixing me up with someone else. I have never favoured separation in Palestine. I do not want to make a decision for other people, but my hope for historical Palestine is for equality, i.e. laws that do not discriminate on the basis of religion or ethnicity and give equal rights to everyone under the jurisdiction of the government in question. My Palestinian friends say that is what they want. Nobody wants to be a second-class citizen and nobody should be a second-class citizen. Sadly, there will always be people who hate the government under which they live and feel that it does not act in their interests. The best we can hope for as that that group will be a very small minority and not without hope of change. That’s good. We actually aren’t that far apart in policy though perhaps quite a bit in attitude. But then I think you should be focusing on the I/P conflict as a civil rights struggle (with repatriation) not a territorial struggle. The Clean Break faction and AIPAC had overlap but they are not the same people. Clean Break was a much smaller group. AIPAC had a less focused position and supported Labor, Kadima and Likud initiatives while Clean Break was tightly tied to Netanyahu when he was out of power. @Peter: There was context to it. Jack had mentioned “Islamic oil” and my point, oil doesn’t have a religion, and if he didn’t like Islamic oil, he may want to use Jewish oil. Thank you for your ignorance. Oil produced by Islamic states is indeed “Islamic Oil.” Many of the states that voted for the anti-Israel resolution are dependent on it. That’s not a quote about Jews it is about their goals for Palestinians. There is no question claims to seek the betterment of Paletinians. I asked for one about Jews in their eventual solution. Is an apologetic for the destruction if the Israeli society. It talks about unfixable things being intolerable. Your assumption that the ANC had a uniform position is not consistent with what I have read and seen. Mandela was simply a very powerful and wise leader whose views, luckily, prevailed. etc… Conversely the Palestinian national movement was born out of the Arab national movement. Its first cause was denying Jews the right to settle and getting involved in local genocides. I haven’t seen a Mandela appear among the Palestinians but we won’t see him gain power until an Israeli de Klerk appears. Without de Klerk, Mandela would have been unable to play his role. Mandela predated de Klerk. The Free Mandela movement starts in 1964. Mandela explicitly starts cooperating with the Progressive Party and trying to influence Afrikaners policy in 1970. de Klerk is a product of Mandela’s work not a cause. 2017 gave many Canadians one more reason to be glad that the separation is there and neither ethnicity nor religion was a factor. If Canada were joined with the USA Hillary easily wins. I spent part of the holidays in New Orleans. As long as we are talking about Canada. Canada expelled the Arcadians which created the population of rural Louisiana. About 1.2 million people in the USA identify and descend with the Arcadians that Canada expelled. This is an ethnic cleansing Canada did not one in a country far away. Something you can actually vote to undo. When is Canada going to allow that population to move back and restore their property in Nova Scotia, New Brunswick, Prince Edward Island? Thank you for sticking to the issues in your reply. In fact, the statement above is about Jews. It is a statement about “the rest of humanity” and, as far as I know, Jews are human and part of the rest of humanity. BDS does not talk about taking rights away from anyone; they talk about restoring rights that were taken away. There is nothing about destruction in that text. You assert that that some of the intolerable things are unfixable but I see nothing that cannot be improved. Of course, historical events cannot be undone, the dead cannot be brought back to life, lost childhoods cannot be recovered, etc., but the ongoing denial of rights to Palestinians can be stopped. Property that was seized can be returned or an agreed compensation can be given. The borders can be opened to allow those expelled to return and the expulsions can be stopped. Palestinians can be given the right of trial in civilian courts using unbiased laws and unbiased judges. None of this can be done overnight; it must be done with care but it can be done. Ending the injustice will not destroy Israel. It will make it a better place to live. You wrote, ” de Klerk is a product of Mandela’s work not a cause. '” and list key events in the ANC development. This is not a forum for discussing South Africa but understanding it is helpful for this discussion. Your list of events does not contradict the fact that many members of the ANC, including Mandela, participated in violent acts. Mandela, unlike many of us, seems to have gained in wisdom throughout his life. More important, neither of these men was a product of the other. They developed independently but they needed each other to accomplish their goals. Mandela was in jail and could have done nothing without de Klerk. De Klerk needed someone he felt he could trust and felt he that could trust Mandela. Both men were needed for the positive change that is happening in South Africa. People like them are needed in Palestine. You are correct when you pointed out that the British expelled Acadians and that that constituted ethnic cleansing that can be compared to some of what has happened to Palestinians. However, you seem unaware that they were eventually allowed to return. Today, Nova Scotia is the only officially bi-lingual province in Canada and one more example of fixing something that many would have thought unfixable. Many Acadians were lucky to have found a new home in Louisiana and did not chose to return. Palestinians have not been that lucky. It is a statement about “the rest of humanity” and, as far as I know, Jews are human and part of the rest of humanity. That’s generally not a belief shared by antisemites. Jews can be thought of as a type of creature that looks human but isn’t, same as witches. Jews are for them quite often a form of demon in league with the more malevolent forces and while man through the fall is often the unwitting servants of evil the Jews are the deliberate servants. Jews can often be human but human in the way noxious criminals are acting as intermediaries for the darker forces, playing the same role for Satan (also Eblis, Archons, primordial forces of Chaos..) as priests do for Jesus. You see the more secular and sort of post Catholic version of this sort of rhetoric all the time in BDS where Jews are the intermediaries of global capital or imperialism. So no I don’t take that as a given that they mean to include Jews in their definition of humanity. I’d want to see something explicit from particular writers. But more importantly your argument is tortured. The focus of BDS is the I/P conflict. They don’t accidentally forget to mention the Israeli Jews. When they don’t explicitly don’t mention them it is because of their hostile intent. You may believe in equality. There certainly are BDS leaders who do take an explicit stand for equality like Ali Abunimah. The BDSmovement website itself has a few explicit calls. What it hasn’t done much of though is address a positive vision and talk about what is inside or outside the bounds for resolution. For example Sam on this board called for population destruction using some sort of “return to their native lands” argument that doesn’t even make sense today unlike the 1950s. There is no clear cut doctrine within BDS that one can point to and say that disagrees with the movement. Quite simply the BDS movement to get credit for promoting a vision of equality has to actually promote such a vision: Explicitly, detailed and clearly. Certainly the I think you know at this point but don’t want to admit they simply don’t I’ve pointed to a Federal solution emerging from Likud. Advocates of that solution can be considered advocates for equality under Federalism. That doesn’t mean all Likud or all Israel has those views. There is nothing about destruction in that text. Of course there is. Israel is for them a settler colonial state. That’s an unfixable problem until the natives regain power. They make a huge racial dichotomy between Jews and Palestinians where membership in those groups is biologically inherited, Jews can never become Palestinian regardless of how long they live in Palestine. The whole point of the movement is to object to mixing a sort of extreme anti-miscegenation doctrine which objects not just to natural biological mixing but to even the kinds of mixing of culture which occurs naturally. Palestinians can be given the right of trial in civilian courts using unbiased laws and unbiased judges. Agree very strongly with this one. Ending the injustice will not destroy Israel. I agree. Reform won’t destroy Israel. But BDS doesn’t call for reform. Liberal Zionism calls for reform. BDS is explicitly a rejection of Liberal Zionism. It is an explicitly anti-Zionist movement not a reformist movement. Your list of events does not contradict the fact that many members of the ANC, including Mandela, participated in violent acts. I never claimed the ANC wasn’t violent. What I claimed and what we were debating was my contention that the ANC always promoted a final vision of equality and had a rhetoric of shared humanity. For the ANC South Africa was a shared place Afrikaners fully belonged there. The never made use of things like a Settler Colonial narrative or a fabricated / oversimplified history though they certainly could have. However, you seem unaware that they were eventually allowed to return. Really? This year thousands of Acadians descendants lost their homes to floods. What was Canada doing about it? The answer is nothing. It is nice to know that Canada will let them back but only now that the political issue of Catholic vs. Protestant Canada is long settled and their ties to Canada are only historical. Canada isn’t repatriating them because they aren’t Canadian they are American. Their ancestors were in territory that is now part of Canada. And similarly with regard to the Palestinians I suspect Israel will let the descendants of Palestinians back under similar circumstances in centuries to come. Now for a more important point. The expulsion had nothing to do with French vs. English language the Acadians were thrown out because they were Catholics unwilling to live under Protestant law or fight in wars against France. They were from the standpoint of Canada political revolutionaries unwilling to sever their connections and live in the new state in peace. The expulsion was part of the pacification of the province. By getting rid of the worst of the troublemakers the Canadian Protestants were able to be far less cruel in their governing of French Canada than they otherwise would have needed to be. The logic you used to “prove” that BDS is anti-semitic and wants the destruction of Israel is an interesting example of circular reasoning. All logic begins with some assumptions that cannot be questioned. You begin by assuming that BDS is anti-semitic. You further assert, and apparently assume, that antisemites do not regard Jews as human. Based on this you can conclude that when BDS, an anti-semitic organization, says “the rest of humanity” they do not mean Jews. From that you can conclude that when BDS discusses its goals, they ignore Jews. From that you conclude that they are anti-semitic and want to remove all Jews from Palestine. With this, you have “proven” your assumption, i.e. that BDS is anti-semitic. Is it possible that BDS doesn’t mention Jews because they believe that they are just humans, like the rest of humanity, and do not need a special mention? Their statement is that they want equality and it would be inconsistent to single out one of the many ethnic groups in Palestine as deserving special mention. I believe that equality, i.e. equal rights for all ethnic groups, is a very positive vision and quite inside the bounds for resolution. Many other countries have achieved that. You refer to something that Sam has written here as if it were an opinion acceptable to BDS. As far as I know, nobody on this discussion, not Sam, not myself, not Peter, can speak for BDS. We have to go to their site and perhaps the words of their chosen representatives. Your argument that they want the destruction of Israel seems again to be based on your assumptions and the same circular logic. You give no references to their text but assert that, “They make a huge racial dichotomy between Jews and Palestinians where membership in those groups is biologically inherited, Jews can never become Palestinian regardless of how long they live in Palestine. The whole point of the movement is to object to mixing a sort of extreme anti-miscegenation doctrine which objects not just to natural biological mixing but to even the kinds of mixing of culture which occurs naturally.”. I can only repeat what a very wise woman, a muslim resident of Jerusalem, said to me during a pleasant leisurely dinner in East Jerusalem. Her words were, “We always knew that there were Jews here; we considered them Palestinians just like the Christians and us”. Of course, she could not speak for BDS (as far as I know) but neither can you. We must depend on their words. I believe that they agree with her not you but I have no proof. Former US Senator Sam Nunn, once “accused” me of being a “man who believes that words should mean what they say they mean” and I plead guilty to his “charge”. BDS says that it believes in equal rights for all of humanity and, until they say or do something that contradicts that, I will hold them to it. I believe that that is far more constructive than simply assuming that they do not mean what they say. It would be interesting to discuss your remarks about Acadians and Nova Scotia on a blog devoted to that subject. Canada, and before them the British Colonial government, has done many things that they should not have done; there would be plenty to discuss. By the way, in 2003 Canada, in a royal proclamation, apologized for the expulsion of Acadians. I would like to see a corresponding apology from Israel for the expulsion of Palestinians. More relevant here is the question of how many generations of descendants of people who could have returned after an exodus, but chose not to do so, retain that right of return. Both Canada and the US have laws that limit that right. Israel appears to have no limits for Jews but does not generally allow Palestinians who went abroad to return if they delay too long. That is one more example of a ethnically biased law that I find objectionable in Israel. One of many arguments in the Zionist arsenal; because the native Indians were slaughtered in North America; why can’t we do the same in Israel. That’s not at all what I said. Your claim was such a migration was unthinkable, total beyond human experience…. Admitting that mass migrations are a rather normal part of human history and not particularly unique to Palestine undermines the anti-Israeli cause. As an aside, the Jewish / Palestinian struggle mostly happened in the 20th century the big points of the conflict are done. The migrations is mostly over, a thriving prosperous successful Jewish state has been established in Palestine. There is certainly a question of what role the natives play in that state but the identity of Palestine is decided. Israel is a vibrant multiparty democracy where policy is debated in a free press. That is a democracy by any stretch of the imagination. There may be some problems on who is allowed to vote but don’t confuse that with there not being a democracy. Thank you for your antisemitism. Were you born this ignorant or did you work at it? It is not the ethnicity or ancestry of the Jews in Israel that matters. It is what is being done to the non-Jews that should be our concern. Sam, you asked me what I think about Mr. Cohen’s article. I can say that it is one of many things written by Jews, including some Israeli Jews, that resonate with me because they recognize the injustice of the present policies of Israel. Such articles are further evidence that we cannot attribute any opinions to all members of an ethnic group. Each individual must be judged on the basis of what that individual says or does. It is very common for extreme Zionists to label Jews who oppose Israel’s policies as “Self Hating Jews” even when there is no evidence that they hate either themselves or other Jews. They go further, and argue that sites or newspapers that publish such articles as anti-semitic. It is far easier to use such labels than to discuss the issues they raise. I have learned to ignore such remarks. Please remember that this blog is devoted to discussing the issues of Israel and Palestine and not to discussing each other. It is easy to forget. @Dr Parnas: Thank you. Sixty nine years and counting and no end in sight and no hope of a new dawn at the start of a new year. Collective failure of mankind? Based on the knowledge level you two show, someone failed. It is well proven that sites that publish Cohen’s tripe have posted other antisemitic material. While Cohen may have been accidentally born to Jews, Jews as a people mean nothing to him. Dr. Parnas: Have appreciated all your comments. You have seen both sides in your time in Israel. But I can tell that despite your best efforts you have been unsuccessful in convincing Jack or Host. Jack, with all due respect doesn’t tire of using the ‘anti-Semitic’ label, countless times, every time he disagrees. Unfortunate too that ‘justice’ has no place in the arguments put forward by Jack and Host. Unless the plight of the Palestinians is addressed, no resolution will ever be possible. @Jack: Don’t you think it is arrogant of you to tell me about Dr. Parnas. I see him as a level headed person with a conscience; someone who is not anti-Palestinian and believes in justice for all, Jews and non-Jews. It is for me to decide whose opinion I value and whose not. You do not have that right. You have clearly demonstrated your bias and your inability to respond to facts, arguments provided by Jews themselves. What ‘scholarly research’ have you done, if your staple answer to every question, is name calling. @Jack: here’s an article by a Mr. Cohen; the Cohens I believe are considered as kinda upper class in the social hierarchy. You have branded me an anti Semite; would you say the same about Cohen and if you could point to what you might consider lies and canards in his article ; because according to you that is all I do by relying even on Jewish sources like Haaretz or Jewish authors or JVP. @Jack: I am sure your vocabulary is much better than relying on one word ‘antisemitic’. I am asking you a simple question: it is a basic tenet of law to punish the man responsible for a crime. Now instead of name calling if you could please tell me, what fault was it of the people living in Palestine for the horrific crimes committed against Europe’s Jews by their compatriots in Germany, Poland, and the rest of Europe. Were the Palestinians responsible for the your people’s torturous history spanning centuries? All you have done is call me a liar and antisemitic; but my question again why should people who did you no harm have to suffer for infinity? Sam seems to forget that debating antisemites is the same as debating holocaust deniers. Engagement indicates they might have a point. They do not. Now if you could put up my question and your reply on billboards across North America and let the people decide. That type of speech doesn’t allow for a reasonable response. As for the fault of the people of Palestine there played a minor role. During the 1200 years they were the dominant population (though not the government of Palestine) the Jews lived quite badly there. Attempts at more peaceful return and coexistence were often met with broad based massacres. In particular to the Nazis, during the 1930s the Germans were trying to decide between mass expulsion and mass extermination. As expulsion became less practical and mass extermination in Hungary went better than expected by 1942 the Nazi regime had firmly decided on a policy of eliminating the 11m European Jews through mass extermination. Had the Palestinians not opposed Zionism and the Arab League not taken the strong position they had it is entirely possible that the Nazi regime decides on implementing mass expulsion to Palestine as the solution to the Jewish question in Europe. Since the holocaust the Palestinians have worked hard to prevent Israel from just undergoing the same sort of normalization that most post colonial states have. Starting with having developed a separate national identity which made it difficult if not impossible for Israel to just be treated like any number of other border adjustments in the Arabian peninsula that had happened in the 1920s. Then continuing with demanding to have a national culture hostile with and irreconcilable to the state in which they wish to live. They have used their diplomatic advantages cruelly to harass the Jewish population of Israel and prevent them from living a normal life. Ultimately though the answer is simply this. If the Jewish question is going to be resolved it has to be resolved in a particular place. All viable places for human habitation are inhabited. Palestine for historical and religious reasons was a good choice of where to put a Jewish homeland. The choice has been made. It is now in any reasonable or practical sense irreversible. It is well past time for the Palestinians to move beyond that choice having been made and deal with the reality of 2018. What role do they want to play in Israeli society if any? One cannot describe what the Israelis have been doing as “normalization” or even “post colonial”. They have been trying to erase the civilization that had existed in the area for millennia and replace it with a mixture of European and legendary civilization. They have been practising ethnic cleansing. That is not “normalization”. They are not “post Colonial” because the majority are colonists and their descendants. The Palestinians are simply trying to prevent being wiped out, deprived of the land on which they had been living, the language that they had been using, and the rights that they see granted to others. Judaism is a religion, quite viable, and quite capable of coexisting with other religions. I see synagogues close to Mosques and Churches in many places. In Montreal and Toronto, I often see bearded Jewish Men in their traditional prayer clothing mixing peacefully with those attending local churches. We Jews have been born, educated, prayed, married, and died all over the world for thousands of years. We can pray anywhere and anytime we want. What can you possibly mean when you write, “If the Jewish question is going to be resolved it has to be resolved in a particular place”? I insist on my right to live, with a Mezuza on my door if I wish, anywhere that I can rent or buy. I don’t need to confine myself to a “homeland” and I certainly do not wish to deprive anyone else of a homeland in order to satisfy an artificial desire for an exclusive homeland. I see where you are coming from. The Jews are a ethnic people with a tribal religion. There have been anti-Zionists like you who deny it, but that doesn’t wash. The Jews of Israel are not wiping out a culture and they are not destroying a people. They are no colonists. Israel was not colonized. They originally legally moved in as immigrants, not colonists. They bought the land they settled in. You do not have to go to Israel. It is there for you should there be a need. There was such a need throughout the 19th and 20th centuries. You don’t like Israel or what it is doing? Tough. There is nothing you can do about it and the vast majority of survivors would disown you. but Israel will still be there for you if you need it. Consider yourself kin to the evil child. Holocaust survivors deserve to live the rest of their lives in comfort but surviving is not a measuring stick for respect. The late Meyer appears to be neo-Nazis’ (Stormfront) favorite Jew. No wonder Sam is enamored. apologize. Quite frankly I don’t see any point in debating you any further, so let’s say, you win, I lose. And let’s pray for peace in the new year. Later you also wrote, There are Holocaust survivors who have fomented hatred toward Jews. I hope that people listen to Mr. Meyer to evaluate this man for what he says himself. In addition to the short video referenced by Sam, there is also a Wikipedia page about him that includes a longer video, produced by the Netherlands equivalent of our National Film Board, in which he talks about his time in Auschwitz. On this video, he speaks Dutch (with a few words of his first language German) but the subtitles are a good translation. I personally come from a family of people who escaped the Holocaust and a few who did not escape and died. While many of the survivors chose to try to forget what happened, and live the life of comfort that you say they deserve, others saw the rest of their life as a gift that their fellow prisoners did not get and were determined to use that gift well. They did not chose comfort but spent their effort trying to keep history from repeating. Those who chose to that path did so using a motto “Never again!”. However, some were thinking “Never again for Jews”. Others, like Mr. Meyer were thinking, “Never again for anyone”. The first group thought that they should build a fortress, a land for Jews in which Jews could always be safe. Mr. Meyer, and others like him, looked further ahead. They wanted to guarantee safety and human rights for everyone, not just for Jews. As Mr. Meyer so clearly said in those videos, they felt that the Jewish religion called for respecting the rights of everyone, not just Jews. My family was full of people who fled the Holocaust. We had all three types. Some chose comfort, their goal was to make themselves at home in their new country, become comfortable, and not rock the boat. They did not want to call attention to themselves; they felt that they had enough of that. A second group of my relatives became Jewish nationalists, i.e. Zionists. They supported the Jewish National Fund and felt that they should do everything to build Fortress Israel because they might have to escape again and believed that a Jewish State would be the only place that would let them if they ever had to flee again. A few, however, thought like Mr. Meyer and would not support JNF in its effort to build a Jewish dominated state. One particularly interesting person was a German cousin of mine. She was protected from the Nazis by a Lebanese Muslim family who took her to Lebanon while her mother fought in the anti-Nazi underground. To her dying day, she proudly spoke Arabic and was furious with the members of her Synagogue who disparaged Arabs. She also lashed out against some Israeli Arab guides, who did not know that she spoke Arabic, and disparaged Jews. None of these people was an anti-semite. All identified themselves as Jews, attended services (at least on the High Holidays), etc. . With the exception of the cousin who returned to Germany, most had primarily Jewish friends. I think it would be ludicrous to call any of them an antisemite or self-hating Jew. None of them “fomented hatred toward Jews”. Even those who felt as Mr. Meyer did, did so because they felt it was what their religion, the Jewish religion, called for. Like Mr. Meyer, they did not confuse believing in the Jewish religion with being a Jewish Nationalist. I am sure that it will surprise nobody that I think that Mr. Meyer got it right. I thank Sam for introducing me to him and recommend anyone interested in improving the situation in Palestine and Israel to listen to those videos. At the very least, listen to the shorter one which is in English. The longer one is really moving and will help the non Jews reading this to understand Jews a little better but it does require more effort unless you understand Dutch. Is there some strange reason you bring up “self Hating Jew” into the conversation? That is a straw man argument. As for fomenting hatred, unlike Sam, that was not the intent, but it is certainly the result. There are about six notable holocaust survivors who have stirred up hatred toward Jews. Haw many survivors who were in the camps or in hiding? Six out of a few hundred thousand? The vast majority wanting to go to America but only the Jewish agency was willing to accept them. And when the got to British Mandate Palestine, the British tried to imprison them and the Arabs tried to kill them. Never again/ Tell that to the victims of the 60 or so genocides since the Holocaust. Meyer had good intentions. The road to hell is paved with them. He allows antisemites like Sam, and pontificating liberals, like you, cover for your words and thoughts. Of course, Sam is vicious. Yes, that phrase has been used to describe me many times in many places by fervent defender’s of Israel. I had not noticed that it was not among the invectives that you have been using in lieu of substantive discussion. I apologize for not noticing that. I agree with you that it is a “straw man”. I also agree with you that “Never Again” is a nice goal but that those who fight for it have not succeeded. Those who use that phrase to justify Israel’s policies are paving a road to hell. I think that Mr. Meyer’s interpretation could lead elsewhere but, unfortunately, his views are rare. What people call you has no place in this discussion. Why would I watch a video promoted by StormFront, the neo-Nazi group? I am a scholar, not some hack who believes every piece of tripe that agrees with or disagrees with my points. Meyer is wrong. Now he is dead and that is one less voice fomenting hatred against Jews having a state and a sanctuary. “Never again” to Jews is not the road to hell. Allowing HAMAS access to murder Jews is. Every state has bad policies. Singling out Israel is the road to hell. Want a picnic basket? “The Never again to anyone” is a bad joke because no one has ever stopped a genocide at the beginning. And all of the signs are there. @ Dr. Parnas: Attacking the messenger instead of replying to the message and telling us what it is you disagree with; how does that help? I heard Shulamit Aloni a former Israeli Minister say it was a trick to silence critics; just call them antisemitic or holocaust deniers. I don’t see any value in debating with Jack who can rubbish the observations of an Auschwitz survivor, the late Hajo Mejer and call him the Nazis favorite Jew. You have called for justice and equal human rights and I hope you will continue to persevere in your efforts. The world needs more people like you. Sammy, do you ever get anything straight. Neo-Nazis’ favorite Jew. Not Nazi. Does your antisemitism interfere? You are the message. The world needs a lot less people like Sam. @Host: A few years back I recall Netanyahu did blame the Palestinians for the holocaust but there was backlash from even extremists in Israel. I don’t know why you would need another reason, you already have so many reasons to settle in the Middle East. Let me list them for you: the bible; kinship with King David; kinship with the Jews who lived there 2, 3, 4000 years ago; the Balfour Declaration, UN Resolution 181. I guess framing the Palestinians would be like the icing on the cake; settling a score with them instead of the Europeans. Why blame Hitler, he was only doing it to please the Palestinians. I agree Israel does exist but it is a fraud and a hoax on mankind. A farce being played out by Europe and Russia’s Jews of a fake middle eastern identity. The followers of no religion in the world have any claim to lands which gave birth to their religion.And then not just moving there, but telling the Palestinians: you don’t belong here, we do. I can’t believe it when I hear a Lithuanian Jewish woman on the streets of Jerusalem say “God gave me this land”. Excuse me??? Are these people really that brainwashed; delusional what? The Jews did not settle a score with the Arabs living in the Palestinian region. The Arabs attacked and lost a war to the Jews who were legally living there. @Host: One hears this ‘God gave me this land’ mantra from every single Israeli, young and old, irrespective of where they come from and the firm belief that the Jews who lived there thousands of years ago were all their distant cousins; now this sounds pretty hilarious and ludicrous but for the fact that it is taking a heavy human toll. There are what some 7.5 billion people living on the planet; do you know of any who claim ownership of real estate as God given? So why this exception for the Jews? And the absurdity doesn’t end there, as far as I know any Jew living anywhere in the world can move to Israel; and that includes recent converts like Ivanka Trump, if she so wishes. My point again, the followers of no religion can claim lands which gave birth to their religion. Christians cannot claim Nazareth; Muslims, Saudi Arabia; Buddhists, India. If you do not agree with that, then I think the debate should end there. Who in his right mind, except for a crazed fanatic, would be using the bible to expropriate land anywhere and in the process slaughtering anyone who resists. There are what some 7.5 billion people living on the planet; do you know of any who claim ownership of real estate as God given? Yes. The Catholics belief about their rights to Roman territory who accept the theory of De civitate Dei contra paganos considered to be one of the most important theological books outside the bible. The Muslims who hold that once territory is elevated to Islam that territory cannot be relinquished. The Ummah should grow but never shrink. The Japanese who tie their existence to direct divine intervention in the 13th century against the Mongols. Should I keep going? That is simply not true at all. It is a fabrication of your’s. And a particular odd one about a country founded by a bunch of atheists. Just to pick an important example Netanyahu’s father was an atheist who wrote a whole book on how Jews got Israel. He attributes this to an evolution in Jewish thinking about the Jewish relationship to the state starting with Pinsker and ending with Jabotinsky. Benzion Netanyahu would say Zionism gave the Jews their land. I should mention Benjamin Netanyahu who is also an atheist has explicitly endorsed his father’s view. Ayelet Shaked who is the current Justice Minister (also an atheist) has written just recently about how Israel is a product and result of making the vague abstractions concrete, again a philosophical not a religious claim is how Israel, the new Judaism and Jewish democracy arise. So like Jabotinsky she would attribute it to Zionism not God. The Haskalah movement (18th and early 19th century proto-Zionism) would have attributed the birth of Israel to the rebirth of Hebrew as a spoken language and the creation of a shared non-religious cultural identity among Jews. Chaim Weizmann would have attributed to the Jewish embrace of Western Democracy and the desire to liberate all men from the tyranny of other systems. David Ben-Gurion was also an atheist and wrote many books. He attributes the claim to a variety of things but mostly he uses a Communist framing of territory being liberated by workers against an aristocracy. I live in a country where people from all over the world move here and we take great pride in that. I don’t find that absurd at all. There is nothing absurd with Ivanka Trump being invited to become Israeli anymore than there would be in inviting her to become Canadian, Mexican, Brazilian… The entire continent you live in rejects the ties between blood and soil you are advocating. Will antisemites never learn that while there is a religious mantra, it is not the underlying basis of the state of Israel? They moved there, legally, because it is their ancestral home and to escape oppression. They grew in strength and wanted independence from British rule. Britain, the sovereign entity on the land, was going to partition using a 1937 plan but WWII got in the way. After WWII, Britain gave up that sovereign control to the UN. The UN devised a partition plan and when accepted by the UN in 1947, the Arabs in the region started a civil war, and lost. Israel declared independence. The Arab in the surrounding states started the first Arab-Israel war, and lost. There was no Jewish invasion. The Bible was not used to justify slaughter but it might be a reason why the body count was so low in comparison to similar episodes in the then recent history and in events that have transpired since. The Holocaust is the blame of the “Law of Return” that only applies to Jews, all Jews, no matter what their status. That is because the civilized world refused to allow refugee Jews a place. If Christians decide to move the Nazareth, legally, in sufficient numbers to form a significant group, they might state that Sharia will not apply. If the Muslim population attacked because of that declaration and lost, they might find themselves in the minority and Christians would rule Nazareth. Brevity is the antisemite’s friend. He doesn’t have to think to hard. Just repeat the one line canards he has memorized. A few years back I recall Netanyahu did blame the Palestinians for the holocaust but there was backlash from even extremists in Israel. What Netanyahu claimed was that Haj Amin al-Husseini had during his dialogue with Hitler been the one to convince Hitler to decide on mass extermination vs. mass expulsion. There is a little question al-Husseini was an open advocate for mass extermination in a way that Hitler himself never was. But that al-Husseini’s opinion was decisive on the Axis’ final choice is extremely unlikely. al-Husseini was a tool of Hitler’s not visa versa. So I don’t think al-Husseini responsible for the Holocaust but he might very well be the single individual most responsible for the Nabka. There are lots of ways the Palestinians could have responded to Jewish immigration, cultivating genocidal hatred did not help. The violence and overall tension he created poisoned the relationship to such an extent that peaceful coexistence became unlikely. I think Netanyahu was right to ask the Palestinians to grapple with al-Husseini’s legacy. I don’t think exaggerating that legacy helps though. But I don’t have much sympathy for al-Husseini the worst demonizer in Palestine history complaining about being demonized. Netanyahu never claimed the Palestinians were to blame for the holocaust. I agree Israel does exist but it is a fraud and a hoax on mankind. What does that even mean? That sentence doesn’t make any sense, how can an existent state be a fraud or hoax? It is simply the style of bile you like to throw into this dialogue. You are going to have to decide whether you want to just be classified as an antisemite and simply dismissed by Zionists as a loon or whether you want to engage. You seemed genuinely hurt and changed your tone when Jack simply refused to engage with you. Lines like that are why. Your tone is atrocious. A farce being played out by Europe and Russia’s Jews of a fake middle eastern identity. Now this is nonsense. The greek word Ἰουδαῖος was used for the Judaean people, Judaea was a middle eastern country. The Latin for that is Iudaeus. During the middle ages in what is today France: Iudea, Gyu, Giu, Iuu, Iuw, Iew, Jew. To claim to be Jewish is to claim to be a Judaean national. This belief in Judaea was one of the reasons for antisemitism historically, Jews thought of themselves as semi-foreigners a people apart. One can certainly argue that the Jewish religion of today bears little resemblance to the Henotheistic angel worshipping magic based sacrificial cult of the Judaeans. One can certainly argue that biologically there has been too much breeding over 70 generations for there to be much of the Judaean DNA left in Polish and Russian Jews. What is nonsense is the claim you were making 2 weeks ago that there isn’t a clear line of descent and evolution from Judaeans to the Polish and Russian Jews of the 1940s. There are well documented historical migrations during the Byzantine and early Muslim periods. We have a literary history that shows that evolution of Judaism to its modern form from the religion of Judaea. 70 generations is a very long time. Napoleon worked hard to integrate the Jews as nothing more than a religious minority. Had Napoleon beaten the Russian Tzars or had Alexander III not converted religious bigotry into race hatred and spread his idea all though Europe in another wave of antisemitism, had that antisemitism not found a fertile field to blossom in then likely Zionism likely never develops. Most Jews convert to Christianity in the 19th century and the process of complete assimilation would be continuing today as it did in the USA and Canada. But that alternative history didn’t happen. Napoleon lost the Russian Campaign and today Israel exists. There is no fraud in that. but telling the Palestinians: you don’t belong here, we do…Are these people really that brainwashed; delusional what? Those people aren’t racists. They reject the concept that underlies anti-colonial ideology that there is some sort of permanent racial claims to land. They accept that humans are a migratory species. Virtually every city in the USA has undergone multiple ethnic shifts in the last few centuries. I have no problem being quite happy with the idea that Mexican immigrants have the same rights to live in America as I do and should enjoy the same freedoms. Neighborhoods where my grandparents lived now have new ethnic identities. Not everyone accepts the ferocious racism implicit in your theory of permanent racial claim. Not everyone thinks that DNA and land are tightly tied. That doesn’t make them brainwashed or delusional it must makes them non-racists. Sorry Sam but not everyone buys into your racism. To them that “Lithuanian Jewish woman” is an Israeli not a Lithuanian. It is important to remember that al Husseini was appointed as Mufti by the British. Wikipedia mentions that the Minister who did that was a British Jew. Why do the Palestinians have to “grapple with” al-Husseini’s ravings. You later wrote, “To claim to be Jewish is to claim to be a Judaean national. “. I claim to be Jewish (my mother’s birth certificate identifies her as Jewish) and received a Jewish religious education. I do not claim to be a Judean national. I have held 4 citizenships in my life (only one today) but none of them was Judean. Judaism is a religion, not a nationality. One of the fundamental problems in Israeli law is to say otherwise. Why? The Muslim Arabs of the region followed him. they rioted on his command. They murdered Jews on his behest. he was the Arab Muslim spiritual leader during the Palestinian Civil War. Because a bureaucrat who happened to be a Jew appointed him mufti, as a compromise, is a point in whose favor? Are yo so bigoted that you can not understand what you write? Again, you write another antisemitic (among Jews merely anti-Zionist) canard that the Jews are not a people. Are you a Lilienthal addict? How can you blame today’s Palestinians for the words of a leader who was imposed on them by an occupying power several generations earlier. ? Please read before answering. No one said “blame.” The discussion centered with “wrestle with.” The Arabs need to wrestle with their murderous riots of 1921, 1929, 1936-39 wherein they were murdering Jews. While it was ordered by the Spiritual leader of the Muslim Arabs of British Mandate Palestine, the Arabs still have to reckon with the Jews establishing defensive forces which became the base of the combat troops that defeated them in the Palestinian Civil War, started by the Arabs..
You wrote, “Why? The Muslim Arabs of the region followed him. they rioted on his command. They murdered Jews on his behest. he was the Arab Muslim spiritual leader during the Palestinian Civil War. 1) The word used by Mr. Host, to whom I was replying, was “grapple” not “wrestle”. Precise use of words is one of the requirements of scholarly work. 2) The point is that he was not “a spiritual leader”. He was appointed by the British, and not chosen by either his supposed “followers” or a Muslim religious organization. Today’s Palestinians have no reason to have any responsibility for what he did or said. If anyone has to “grapple” with this bit of history, it is the British. 3) Now I have to ask for a definition of “people” I did not use that word and can’t guess what you are asserting that I said. Scholars define the terms that they use..
You are correct as to word usage. Grapple and wrestle are synonyms. “Blame” is not for either. Thank you for recognizing your error. The Mufti, despite his appointment and the rivalries did become the spiritual and physical leader of the Islamic Arabs of the Palestinian region. You can deny it but you would be denying a fact. As you are into denying facts and misusing words, do you expect me to deal with your ignorance of ordinary words? @Host: Doesn’t matter how much of a spin you try, the bottom line is a) all the worlds Jews are not of middle Eastern descent b) have as much Semitic blood as a Polynesian. Al Hussaini or no Al Hussaini, the Palestinians are not responsible for your torturous history spanning centuries; they were not the ones manning the railroad; they were not the ones who told the Americans and Canadians to not let you get off the SS St Louis; they are not the ones who asked Somerset Maugham to remark “he was the kind of Jew who made you understand the pogrom”; they are not the ones who advised Americans and Canadians to prohibit your entry to clubs; they are not the ones who told Mackenzie King that Hitler was like Joan of Arc. So stop murdering Palestinians. How many immigrants that you speak of have threatened to. demolish your home? Now if a Russian Jew said, I am here to escape the Siberian cold and have some falafel on the Mediterranean; no problem. Welcome. But ‘God gave me this land’. C’mon!!! Where are all the brilliant Jewish Nobel Laureates? Why don’t they speak out? I know you will refuse to answer my basic question, because you can’t. Let me put it another way; if someone stood outside your house with a book in one hand and a gun in the other and said this book tells me this land is mine, what would you do? So get over it, the Palestinians and Arab Christians, Jews and Muslims are all Semitic ethnicity, you are not and should stop the identity theft. Join the non-Zionist Jews of the world; enjoy your lives wherever you are. Don’t keep looking for new Hitlers and burning down the Middle East. Let the Muslims fight among themselves; in any case that would be good news for you; fewer of people you hate. One final word of advice, there is some merit in brevity. The bottom line is that you are an antisemite. You peruse antisemitic material, knowing it is such, and then post it. You are not the messenger, you chose what you deliver and it is you that is condemned. You are a dog gnawing a bone. But the bone has no meaning beyond you. This is like listening to a raving lunatic. How do people like Sam live such ignorant lives? Does it start with their mother? kindergarten? White Aryan youth organizations? The bottom line is only racist fanatics like yourself care about racial blood. That’s your obsession. He has more than one obsession and they are all driven by his less than amazing ignorance. @Host: Finally, I did have a ancestry test done (by a Jewish company btw) and it came up with six percent for Israel, Transjordan, Syria. Now I wouldn’t dream of going to Israel to claim land; in any case they’d shoot me dead for not looking European or Russian. Of course you did. Of course it was Jewish. Of course you know what it means. in any case they’d shoot me dead for not looking European or Russian. Sam where do you get this nonsense? Israelis don’t look Russian. They have a huge range of looks but the dominant one is a a bronzed Mediterranean complexion showing the mixing like the Lebanese. You seriously have no idea what you are talking about. @Host: I don’t know; you see when I see an African American I know he is originally from Africa; when I see a Chinese looking guy I know he is from the Far East; now when I see a Estonian or a German Jew he looks very European to me. I don’t see any bronze Mediterranean; you know the Sheldon Adelson or Dershowitz kind of complexion. Maybe I will get my eyes checked; I am due for a check up. I mean the Africans still look African after five centuries; is it possible that in your case the colour and features adapted to the Siberian climate and the Polish winters? Now all you have to do is lie on the beach and get that bronze Mediterranean and voila you are Semitic/Middle Eastern once again with the blessings of King David. This is like listening to that old senile racist uncle people put in the basement when company comes. They have to feed and house them because they are humane but the are sick of him because they are human. @Host: I’ll be honest with you I don’t read 100% of your replies; they are far too long winded with plenty of twists and turns, but I do get the gist. Hats off to the masterly display of chicanery, subterfuge and skullduggery in defending the indefensible, all in blind obedience to the Zionist cause. How about a new year pledge, not to kill any Palestinian if they defend their home against demolition by a Estonian Jew. The first bit of honesty out of Sam. It does explain why most of his posts are retread antisemitic snips coming from StormFront, Counterpunch, RT, Veteran’sToday, and other trash publications. Sam does not get the gist. He is an unrepentant antisemite without a clue. Brevity is the reason why you display such ignorance. That things do not make sense to you is good reason to devote your life to improving educational process in the schools you attended for such a short period of time. You are all white Caucasian Jews, converts to Judaism at some point in history. From whom did those converts hear about Judaism? Do you actually think Sam has any foundational knowledge other than this brief forays in white supremacist and other antisemitic postings on various websites? @Host Judaism spread like any other ; not all Muslims are Saudis and not all Christians are from Nazareth and not all Buddhists are from India. But I will confess you chose a nice color ‘bronze Mediterranean’ for the European and Russian Jews. What an idiot! How could I have missed it? You are right now that I see through colored lens they do look very bronzy. Host I think you need to ask yourself for how long will you be playing this hoax? Always posing to be something else. Why not say “yes I am Polish; yes I am Jewish and proud of my identity” Stand up man; no point in hiding behind false identities; like the characters in Somerset Maugham’s ‘The Alien Corn’, the story of a Jewish family in England trying their damnedest to hide their Jewish identity. And btw thank you for the short reply; no good all the zigzags. Polish? Like the Poles who murdered Holocaust survivors when they made their way back to their homes after being liberated from the death camps? It certainly did those Jews good to stand up and be proudly identified as Jews. Not to mention those proud Jews mowed down in France by Muslims as they proudly stood in line in the kosher supermarket to proudly buy food for Sabbath. @ Jack correction please CP and RT yes but not the others. And you forgot Haaretz. CP as you know has a number of distinguished Jewish contributors who are on your ‘to hate’ list as I imagine is most of humanity. Gilad Atzmon comes to mind. I am sure you enjoy his writing immensely. That is the little you understand. Your imagination is feral and fervid, but not normal. But thank you for your first straw man of the year. They are the only arguments you win as you are debating yourself in the matter and you have an idiot for an opponent. @ Jack You forgot to mention Miko Peled and Ilan Pappe; What fine gentlemen; wouldn’t you agree? @Host I don’t know how often I have keep repeating this, the followers of no religion in the world all belong to lands which gave birth to their faith. So please it’s time you stop kidding yourselves and don’t demolish another Palestinian home to make room for the latest convert Ivanka. You will have to keep repeating it until you are dead for no one cares, except Islamists who know you only mean Jews. The Middle East is the homeland of the Jewish people; an ethnic group with a tribal religion. The only way to convert is through adoption by the tribe. I am happy to see that your antisemitic self is going to go through another frustrating year of failure. Please explain what you mean by “tribal religion”. I cannot think of a definition that fits. Parnas, are you kidding? Are you this ignorant about Judaism and the history of the Jewish people? No wonder you pontificate as you do. As a “scholar” who “does scholarly work”, I am sure that you recognize the need for precise definitions in such work. Some usages of the word “tribal” in discussing social groups and movements are actually pejorative. I am sure that is not what you mean so, scholar to scholar, I asked for a definition. This is not a question of knowing or not knowing history; it is a question of the meaning of your statement. This is a question of knowing or not knowing history; you are no scholar. Your ignorance is profound regarding these discussions. You take the ultra-liberal side without an ounce of understanding the other sides. Like Sam, you read one book (in your case, 2 books) and decide you know all the issues and all the solutions. have the distinguishing ‘bronze Mediterranean’ complexion; yet more proof of their origins. Sam, of course you do not know to what I refer. You are little but an ignorant antisemite spouting off half-cocked with half a brain. Parnas is not fresh air. He is merely a retread of Lilienthal from 70 years ago. I do not feel sorry for you. I pity the educated people who suffer you. I do not envy their lot. would be horrified at your vicious attacks against Jews and Gentiles alike. Go and apologize at their grave sites and ask forgiveness for blindly supporting a criminal settler colonial apartheid enterprise. Dual loyalty is always a dilemma for all Zionists. Your homeland is where you live; you don’t need any other tribal homelands. If you still feel you need to connect to your roots, just take a flight to Poland. Thank you for your antisemitism. Your comrades at StormFront surely salute you. This is a wonderful example of the amount of bias you apply in your analysis. With respect to the Israelis you consistently choose the least charitable most hostile view of their actions. Everything they do is a result of intrinsic evil. With the Palestinians you look for any excuse to find a 3rd party cause. The reality is the Palestinians bear some level of responsibility for him having been a leader who was a viable choice. Though in the early 1920s he was not yet the noxious evil person he would grow into, so there is very little shame in that. The Palestinians have no responsibility for his selection as Grand Mufti. But that’s it. From here out he is just another British appointed figure of the type the Palestinians frequently did ignore. His staying in that role for decades is on the Palestinians. al Husseini being obeyed and not only obeyed but allowed to shape the political and idealogical culture of the Palestinian movement even today that is on the Palestinians. We’ve had a wonderful example of the disgusting racism of al Husseini in this thread where Sam has been arguing that Israelis aren’t a legitimate nation because their skin isn’t dark enough. The British didn’t embrace Nazi ideology. They opposed not supported race based definitions of nationality. The Palestinians are the ones who embraced al Husseini and his proto-Ba’athism. They are the ones who turned him into a major historical figure who helped shape the I/P conflict rather than a one line footnote. It was not the British who adopted a racial rather than a cultural definition of Arab. The British policy (at least openly) was for the peoples to get along and live in peace under British colonial rule. Were the Palestinians unable to resist following British orders that would have been their political culture. Were they merely being obedient they would have rejected the racist Arab nationalism of al Husseini. You later wrote, “To claim to be Jewish is to claim to be a Judaean national. “. Oh really, let’s test that by looking later in this paragraph: (my mother’s birth certificate identifies her as Jewish… Judaism is a religion, not a nationality. If Judaism is just some collection of metaphysical beliefs and rituals why would your mother’s birth certificate matter at all to your religion? Why would you even bother to mention that much less being the single thing you mention to bolster your claim to being Jewish? A baptist asked about their religion would give you the date they decided to be born again. A Hindu asked about their religion would give you the name of the temple they support and the rituals they focus on. A Buddhist would talk about the restrictions they embrace. Yet you choose to talk about your mother’s birth certificate. You don’t say you are shomer Shabbos (you probably aren’t), you don’t say you keep kosher, you don’t talk about being in a minyan (again unlikely). You mention nothing about the mitzvot d’oraita or your beliefs at all. And that is because your metaphysical opinion are almost completely irrelevant to your identification as a Jew. Your degree of adherence is irrelevant to your status as a Jew unless it falls to the level of explicit conversion away from Judaism. You have an entire Byzantine definition of religion where a religion is just an ethnic characteristic. A person is Greek Orthodox vs. Russian Orthodox because he’s Greek not because he holds that one does not need to take confession before every communion. And that is precisely your own demonstrated attitude towards Judaism in the very paragraph where you were arguing you didn’t hold that attitude. As I said to Sam. The very words Jewish literally means a worshipper of the Judaean tribal God. The very word Jew literally means a person whose ethnic identification is Judaean. Judaea was a real place, its inhabitants a real historical people. For French people who believe that Vichy France was not a French government they don’t claim that the 3rd Republic and the 4th Republic were entirely different countries but rather the 4th was a continuation of the 3rd even though there was a historical interlude. That claim is precisely the reason for the naming. Israel’s ties to global Jewry is its claim to be a continuation of Judaea. That is one of the central tenants of Zionism. Obviously the case of continuity for Israel is a bit more of a stretch. 70 generation is a long time. That ridiculous stretch however is precisely the doctrine you were embracing in talking of your mother’s birth certificate somehow proving you are Jewish. And conversely is the argument against Sam’s racism. Were it the case that Russian Jews were Russians and not foreigners there would have been no need for Zionism. Were it the case that Polish Jews were Poles there would have been no need for Zionism. And I should add if there had been a willingness to assimilate the Jews by treating them as natives then Judaism wouldn’t have survived the centuries. There simply would not Russian or Polish Jews in the 19th century at all in meaningful numbers, Judaism would have joined other religions from Roman times that died out. The 14th century cult of Isis revivalists had no continuity with the Roman Isis cult precisely because Isis cultists did not face the sort of race hatred that Jews did. I have sorted through the recent messages looking for topics that belong in a discussion of Israel/Palestine. That excludes any discussion of how many books any contributor has read (or written) or even mistaken impressions about the Orthodox Churches. It also includes discussions of each other. I see two topics that fit in this blog. One is the question of who is a Jew – relevant because it affects who can easily gain residency and citizenship in Israel. The other is the role of the “Grand Mufti” Al Husseini – relevant because it is part of the history of this dispute in Palestine/Israel and because the present Prime Minister of Israel has suggested that today’s Palestinians must take responsibility for the Grand Mufti’s sympathies with the Nazis. Each religion has its own definition of who is considered a member or worshipper in that religion. We can see that in Israel, the question of whether someone is qualified as a Jew is often referred to religious leaders (Rabbis) and they have been known to disagree. Of course, there were other definitions; for example, the Nazis used two different definitions neither equivalent to the traditional Jewish definition. In modern Jewry there are branches with more liberal definitions. In the traditional Judaism that I was taught, one is a Jew if one’s mother was a Jew. Nothing else mattered. She, in turn, was a Jew if her mother was a Jew, etc. Some now argue that you can lose that status by voluntarily worshiping in some other religion. However, one famous Rabbi once warned me that I could never stop being a Jew. Long discussions can happen because, in theory one needs to go all the way back on the maternal side of the family tree and often there are no clear records. To avoid such discussions, the religious affiliation of a newborn was often recorded on German birth certificates. I use the traditional definition that I was taught as a child attending a religious class in my synagogue. I cannot imagine anyone raised as a Jew, or even a non-Jew who understood Jewish teachings, who would have questioned why I mentioned my mother’s status. There are, of course, other paths to becoming a Jew. There is conversion. If a non-Jew is to marry a truly orthodox Jew, he or she may be asked to convert. (This is more common for the bride than for the groom, because if the bride does not convert, any issue will not be considered Jewish. The father’s religion is traditionally irrelevant.) Conversions must meet complex standards and some conversions are not recognized by other Rabbis. This leads to problems when a converted person wants to become an Israeli citizen. Some of the conversions done by the Rabbi who oversaw Ivanka Trump’s conversion have not been recognized. (Others have). If anyone wants to use another definition of who is a Jew in this discussion, it is incumbent on the to provide that definition and its source. The so-called Grand Mufti was a wealthy activist who asserted himself to be a leader. Born in Jerusalem, he had moved around the Middle East and served in the Ottoman military. The British wanted someone to use as a puppet (whom they thought they could control but couldn’t), created the title of “Grand Mufti”, and gave it to him. He was a leader only in the sense of military organizations where someone appointed to lead a unit must be followed. He was not a leader in the sense usually used in politics where a leader is chosen by those who will follow him. Like anyone who gets in a position of power, he had some sycophants. When the Palestinians developed their own organizations, he was pushed aside. When Netanjahu implied that today’s Palestinians have any responsibility for, or must “grapple” with, the Grand Mufti’s pro-Nazi sympathies it was pure propaganda; he was trying to suggest that Palestinians were sympathetic with the Nazis because this man had been forced on them.